This is part one of a four-part series in which I provide the State of the Red Sox in a certain area of the roster as we approach the report date for pitchers & catchers as well as position players. While part one focuses on the starting rotation, part two will focus on the starting lineup, part three on the bullpen and part four on the team's bench and depth. The undeniable ace of the staff, Price finished 2015 with a 2.45 era in over 220 innings of work, surrendering only 190 hits and striking out 225 batters. The Red Sox signed him this past offseason to a 7 years/$217 million-dollar contract and are banking on his presence having the same effect on the other rotation members in Boston as it did on Mark Buehrle, Marco Estrada, R.A. Dickey and Drew Hutchinson in Toronto last season. 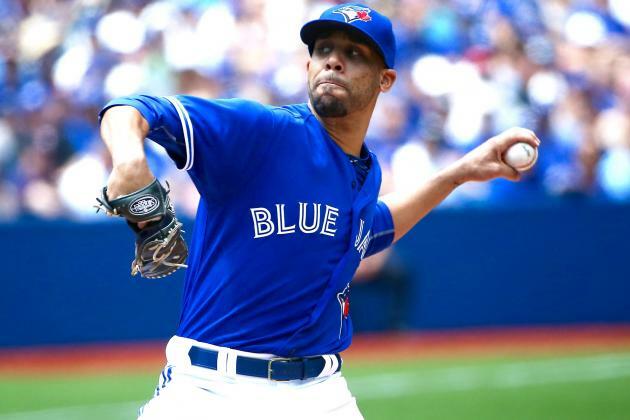 Last season, David Price was traded by the Tigers to the Blue Jays on July 30th. At the time, Toronto had a 52-51 record. Their record the rest of the season with Price in the rotation? 41-18. Red Sox fans should be very excited about David Price being in the rotation. He is a seasoned veteran of the AL East and has performed at an All-Star level nearly his entire career. He brought Tampa Bay, Detroit and Toronto to the playoffs and will be looking to lead Boston back there in 2016. Concerns: Like all high-priced free agents who sign with the Red Sox, can he handle the pressures of playing in the Boston market? If healthy, a serviceable number-two starter, especially with Price at the top. Just consider who the number two was in Toronto: Marco Estrada, who finished 2015 with a 3.13 era, which Buchholz has done more than once. 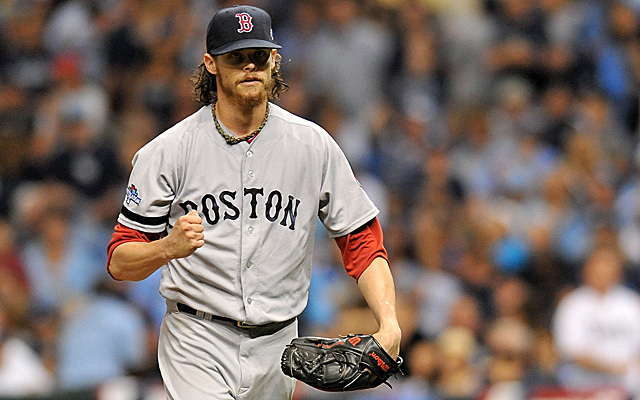 Prior to a season-ending injury, Buchholz started 18 games with a 3.26 era. In what would wind up being his final five starts of the year, Clay pitched 34.1 innings and surrendered only 4 earned runs, which equals a 1.06 era. Although the Red Sox should feel comfortable with what Buchholz will be capable of producing on the mound in 2016, the question, like always with him, is whether or not he can take the ball every fifth day for 162 games, which is something he has not been able to do for most of his professional career. In one sense though, his lack of innings over the years due to injuries eliminates any concern over the wear-and-tear one may worry about developing on a starting pitcher’s arm who is entering his tenth MLB season, like Buchholz is. Therefore, the Red Sox have the luxury not concerning themselves with such things and are squarely focused instead on keeping him healthy because, if they can succeed in that regard, they more likely than not will get a pitcher with number-two potential. Remember, he is only two years removed from being 12-1 with a 1.74 era. Concerns: His inning totals between 2010 and 2015: 173.2 IP; 82.2 IP; 189.1 IP; 108.1 IP; 170.1 IP; and 113.1 IP. The Red Sox need him to stay healthy and pitch between 170-200 innings next season, which is something he has only done three times in his nine-year career as a result of a continuous stream of injuries. Can he overcome the injury bug that has plagued him so often in his career in 2016? With his stuff and age, an argument can be made he has the highest ceiling of any starter in the rotation and possibly the entire organization other than his fellow Venezuelan countryman, Anderson Espinoza. As oppose to the other returning starters, Eduardo is coming off a very successful 2015 and hoping to build off of that momentum in 2016. His growth and improvement as a starter may present the Red Sox with their most likely route back to the playoffs next season. 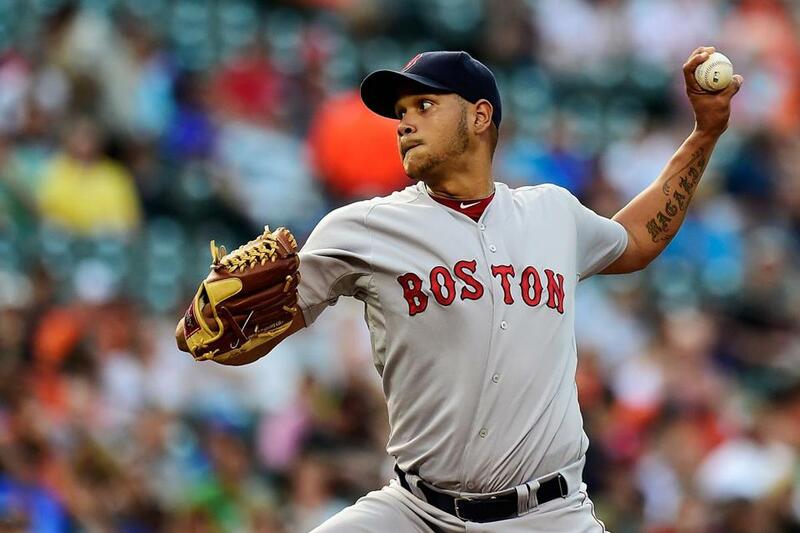 Although Rodriguez did not begin his career in Boston's system, having been acquired at the 2014 trade deadline from Baltimore for Andrew Miller, it has been nearly a decade since a starting pitcher graduated from the Red Sox minor league system to become a mainstay in the Fenway Park rotation. Eduardo, who will turn 23-years-old during the first week of the 2016 season, offers that potential. Rodriguez pitched all of last year at 22-years-old, which was over six years younger than the average MLB starter in 2015. 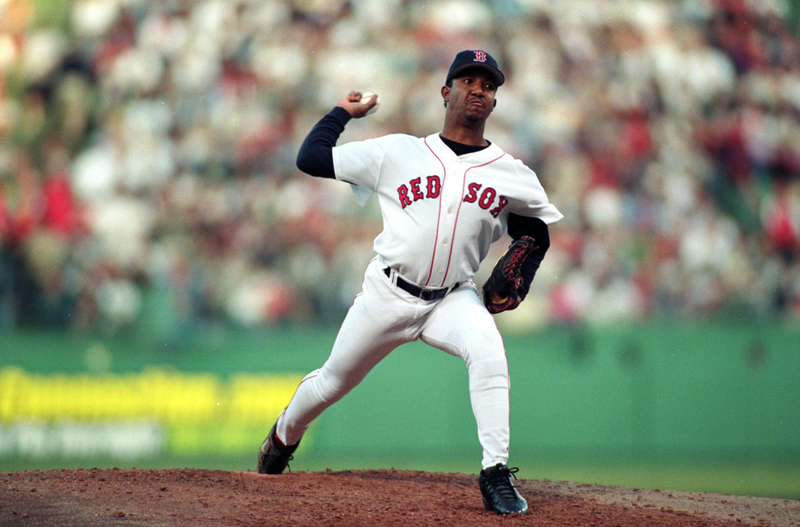 Although his pitch selection and mound presence proved more than ready for Fenway Park, his youth and inexperience did make an appearance at times insofar as the Red Sox felt he tipped his pitches in more than one outing. Regardless, he made 21 starts, pitched 121.2 innings, won 10 games and finished the season with a 3.85 era. The most impressive part of his 2015 season though was the fact he only pitched poorly four times: (1) 6/14 vs. TOR – 9 ER; (2) 6/25 vs. BAL – 6 ER; (3) 7/20 vs. LAA – 7 ER; and 8/14 vs. MIA – 8 ER. If you subtract these four starts from his 2015 stat line, Rodriguez would finish with 1.86 era, which is should encourage Red Sox fans everywhere, especially because he accomplished that in only his first year. The question for Rodriguez will be how much can he improve upon his career-high of 121.2 innings last season and whether or not he will be able to sustain his 2015 performance over 200 innings. Only time will tell, but he has been very durable since joining the Orioles out of Venezuela in 2010. Furthermore, he showed no signs of slowing down last year, accumulating a 2.22 era over his final four starts. If he can stay healthy and give the Red Sox 30-plus starts next year, all the while learning from arguably the best left-hander in baseball in David Price, who we all know loves to mentor young players (see his relationship with Rays SP Chris Archer), Boston may very well go from last to first in the AL East once again and then some. Concerns: There are not many, but will he be able to fully resolve his issue with tipping pitches, especially now that there is more film available to potential opponents? Will he be able to continue the success we saw in 2015 on an increased workload? There is an argument to be made that, other than Price, no other Red Sox is under more pressure to perform in 2016 than the 27-year-old Porcello, who will be playing the first season under his new 4-year/$82 million-dollar contract. Last season, he started 28 games and pitched 172 innings, which is significant given the fact he missed an entire month due to injury. However, had he not suffered an injury, it is entirely possible Porcello would have reached the 200-inning mark, which is something the 2016 rotation will need from someone other than David Price. Although he finished 2015 with a 4.92 era and surrendered a career-high 25 home runs, he finished the season strong. While his first-half ERA was 5.90, his second-half ERA was 3.53, and with regard to his early struggles, they were easily identifiable and something he worked on fixing prior to his turnaround. For example, although he built his career on being a sinker-first, ground ball pitcher, he chose to move away from that during the first half of 2015, instead relying on his fastball and trying to strike batters out. In the first half, Porcello made 17 starts and only six times recorded more outs on the ground than in the air, which is incredible for a sinkerball pitcher. Moreover, four of the six in which he recorded more groundball outs were quality starts, further demonstrating how much Porcello was impacted by the move away from his sinker. In the second half, when he accumulated a 3.53 era, he recorded more groundball than flyball outs in 7 of his 11 starts. Perhaps the most encouraging aspect of Porcello’s 2015 season was the way he finished. He made eight starts in the final three months, six of which were against division opponents, four against playoff teams and one against the Indians, who had a top-three record in the AL during the second-half of the season. The result? 57.1 IP, 58 H, 5 HR, 52 SO, 11 BB and a 3.15 era. 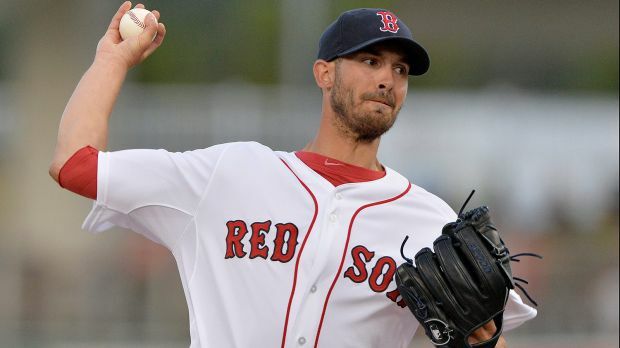 With a renewed focus on being a ground-ball pitcher and more comfort pitching within the friendly confines of the AL East – 7.77 era in 7 starts against TOR and BAL – should we expect more of what we saw out of Porcello during the final three months of the 2015 season in 2016? Let’s hope so. Concerns: Was the first half of 2015 really a product of his new environment and ill-conceived plan to become more of a power pitcher? Given the past inning totals of Rodriguez and Kelly, as well as the injury concerns surrounding Buchholz, the pressure on Porcello to pitch close to 200 innings will be high. Combine that with the pressure of playing in Boston under the $20 million salary he is going to earn next season and it will be a lot for the 27-year-old to handle – can he? The fifth and final member of the 2016 starting rotation is the most interesting one to the extent he has the stuff and pitch selection to become a staff ace, but has yet to figure out how to use it, which begs the question: is this the year? Although he finished the season with 10 wins (tying his previous high) and a career-high in innings (153.1), the 2015 season was likely the most difficult of Kelly’s young career. Not only did he finish the season with a 4.82 era, but he also dealt with a stint on the disabled list, rumors of being moved to the bullpen and an outright removal from the rotation for an extended period of time in order to regain his form in Pawtucket. The good news for the Red Sox is he seemed to figure it out towards the end of the season. Over his final nine starts, he pitched 51 innings and went 8-0 with a 3.00 era. Like with Porcello, the Red Sox are hoping Kelly will feel more comfortable pitching in the AL East next season now that he has a year of experience under his belt, which is critical to his success given his 6.73 era in 11 starts against the AL East in 2015. His ERA against teams outside the AL East? 3.46. 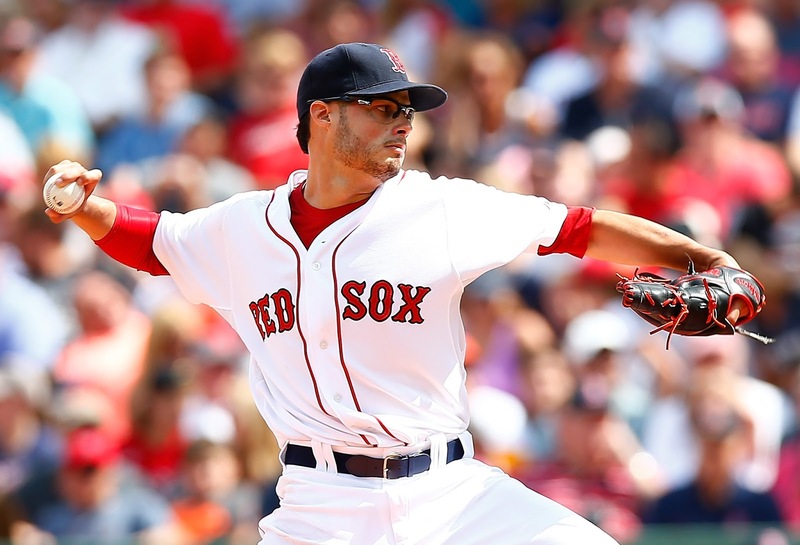 Solve the Yankees, Blue Jays, Orioles and Rays and you solve Joe Kelly. Concerns: Kelly has never pitched more than 153 innings in a season or started 30 games, which is something the Red Sox need someone other than Price to do. Can he pitch 180 effective innings? Can he survive in the AL East? Is he better suited for the bullpen and would the addition of his near-100 MPH fastball to the duo of Carson Smith and Craig Kimbrel make the pen even more Royals-like? 3. Clay Buchholz will win more games than Eduardo Rodriguez. Question for the Readers: What are your three bold predictions for the 2016 rotation?